The derelicto to usable white tee project - Well Dressed Dad - It is a proper menswear blog. Like, with original words and opinions and suchlike. I like my white t-shirts. Breaking out a crisp and fresh white tee is one of life’s small pleasures. In this respect I could easily relate to The Wire, where Bubbles tours Hamsterdam hawking his white tees. I do see the possible problems in taking fashion and lifestyle advice from The Wire though, so I won’t make too much of the point, merely observe that the appreciation for white tees may be universal. There is one massive problem with those whiter than white tees though. Or rather, at least two. One of them is the pit stains, though as we know that can be handled by not using a deodorant with aluminium in it (just one of several reasons why you shouldn’t, but the only one you really care about now that summer is here, right?). My brand new Further t-shirt, ruined by errant spatter of something with colour and strong dye capability. The other drawback is that an immaculate white tee has an uncanny attraction to anything that might leave a permanent stain on it. I’m pretty sure the average wears a fresh tee gets before you spill a few drops of some strong colouring agent on it is less than half a dozen. And what happens once you’ve tried washing it and you fail to remove those pesky stains? Another shirt relegated to the sad pile of undershirts, most of which consists of almost immaculate tees with minor “cosmetic issues”. 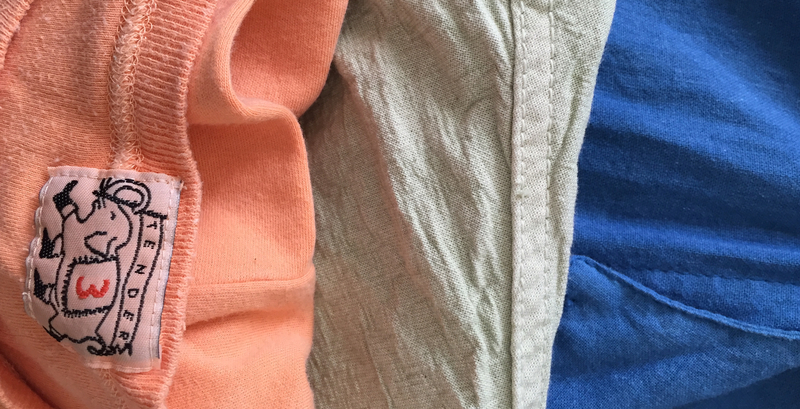 Three variants of natural dye by Tender Co. Carrot, chlorophyll and woad. Having read a very inspiring article about natural dyes, and observing what guys like Tender and Story Mfg do with natural dyes, I feel a stirring of inspiration though. I have stuff that Tender has dyed in French Woad, though while the colour is nice and blue I’m not sure where I’d find some of that woad to use. No natural indigo plants grow around here either, as far as I know. 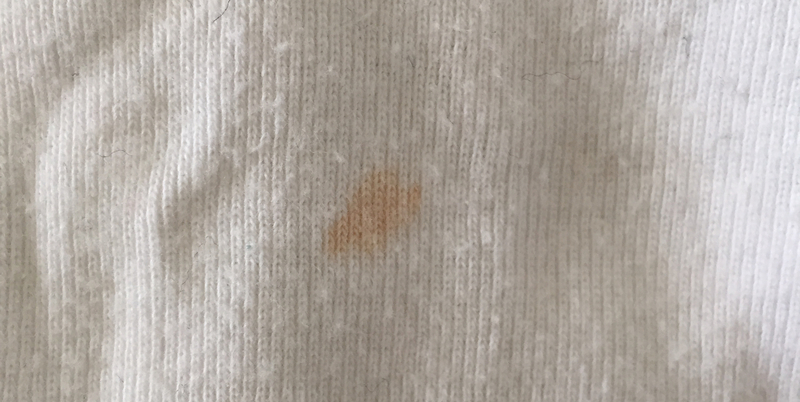 I do have a t-shirt dyed in carrot though, and I know I’ve seen carrots somewhere around here! And beets, beets have got to be full of powerful dye, right? So I’m going to delve into this and see if I can repurpose some of those wonky tees. Why natural dyes? Because chemical dyes are not very friendly to our environment at all and they cost money. Ideally I’ll find something nice that I already have, have growing in the garden or can forage in the woods. Heck, this already sounds so hipster I feel my beard growing! Apparently the first step is to boil them in tea. That’s right, regular-issue tea. This is to ensure the dye sits better in the next step. So, best boil up a big pot of tea and t-shirts. Heck, maybe I’ll even have a taste of the resulting tee-tea, or maybe not, though it allowed me to wheel out a very obvious pun.